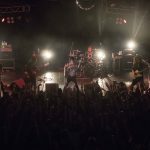 Creature Creature, a solo project launched by MORRIE, the vocalist of the legendary J-rock band, DEAD END, announced that it would go into “dormancy” in July this year after their tour in Japan. Having started at the end of 2005, this announcement pressed pause for its twelve years of activities. It’s needless to say that a charismatic vocalist like MORRIE has a large fan following over the years. 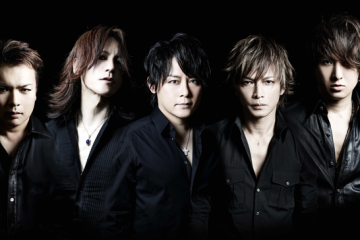 At the same time, many talented and famous musicians have also played as support members all these years. 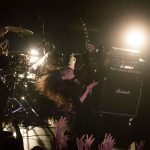 Joining MORRIE on stage for the final Creature Creature show before hiatus were: HIRO (La’cryma Christi, Libraian) on guitar, Shinobu (THE LEGENDARY SIX NINE) on guitar, Hitoki (Kuroyume) on bass, and Hiroshi Sasabuchi (CQ, ex. Plastic Tree) on drums. 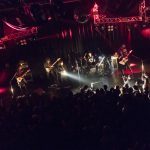 The members (with the exception of Hiroshi Sasabuchi, who joined in 2012) had been playing in Creature Creature for about a decade (since 2006, 2009, and 2006, respectively), so it’s not hard to understand that the night wasn’t only special to MORRIE and Creature Creature fans, but to the supporting members as well. 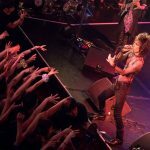 The tour this year had stops in Osaka, Tokyo, and Nagoya before the tour wrapped up back in Tokyo on July 8th at Shinjuku ReNY. It was a hot summer day in Tokyo, but swarms of excited fans wearing black from head-to-toe could be seen lining up outside the venue well in advance. The venue itself is a round hall with a stylish interior located on the second floor of a building. The show started about 20 minutes late, but that only made fans more excited. 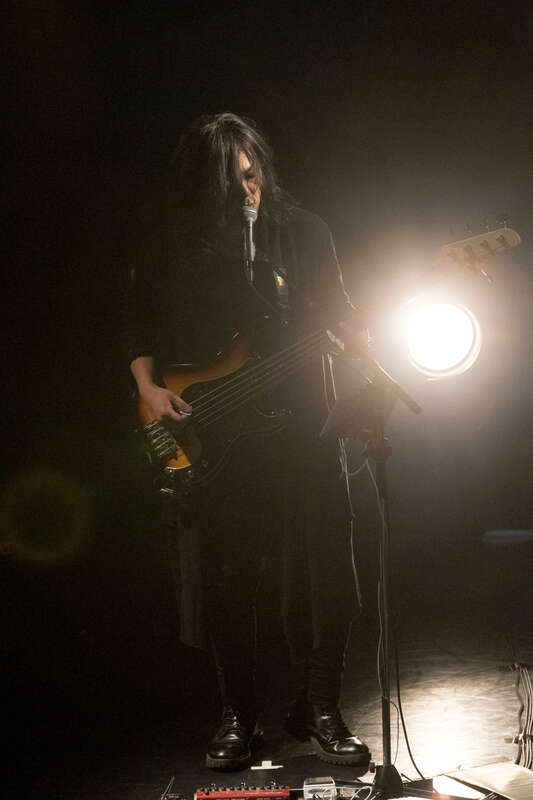 The lights dimmed and each of the members appeared on stage one by one, and fans applauded and cheered MORRIE’s name as he walked out last in an entirely black ensemble. 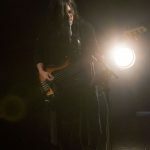 The main set started with Creature Creature’s title song of the latest album release, “Death Is A Flower,” a medium-tempo song with a melodic vocal line that highlights MORRIE’s signature vibrato and falsetto singing style. Colorful lights flashed during the outro of the song as it ended in a carefully crafted cacophony of sorts. The second song was “Dream Caller” (2010) a song that has become a staple on the set list. MORRIE warmed up the crowd with some dancing of his own. The song was followed by “Phallus Phaser”. The song really showed off MORRIE’s captivating and hauntingly high tones during the quiet parts. It also gave a small glimpse to how technically difficult and complex the songs are for all the different parts. Up next was a fast-paced song from the album. All the members walked around the stage to interact with fans in the front as the crowd kept their fists in the air. 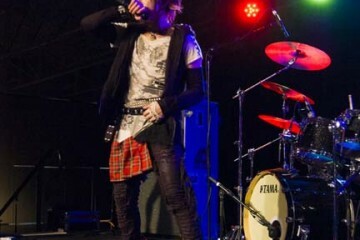 After that, it transitioned to “Hoshizuki,” a song from the first album which started with a simple drum beat before exploding into a full-bodied rock number with a solid bass line. 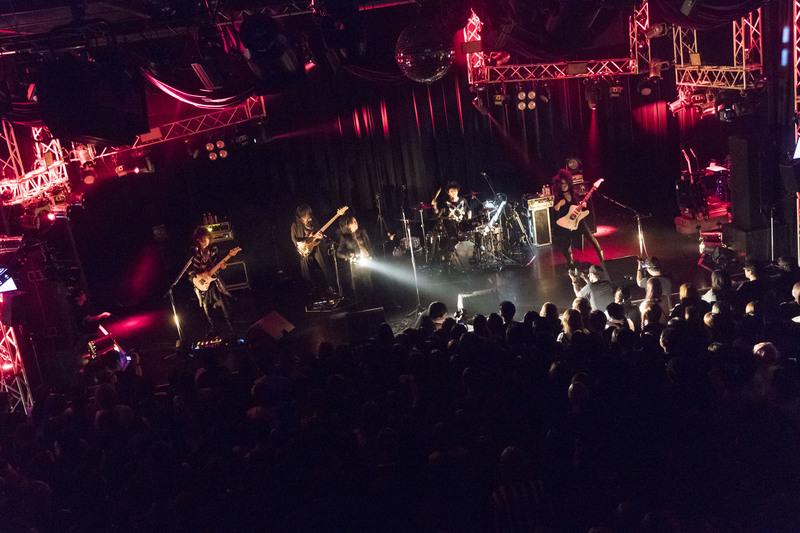 The band took a brief, quiet break before starting the second segment with some fan favorites such as “Black Hole,” “Fire Burn With Me” and “Kurumeki”. As expected, the crowd got really into it and it got even hotter inside the venue as they danced to the tunes. 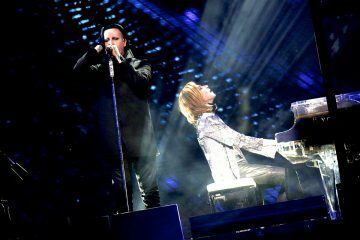 “So Heavenly” was memorable with its groovy bass intro, melodic guitar lines, and MORRIE using various singing techniques from high to low, and from soft melodious crooning to screams. It was also the only song where everyone had a singing part. The second segment ended with “Golden Game,” an upbeat rock number. MORRIE walked around the stage a lot to drive the crowd, before the song ended in a bang and the crowd exploded in cheers. After yet another a short break, the third segment started with “Mirrors,” which had a very interesting transition from a heavy, dark mysterious tone to a light, airy tone. 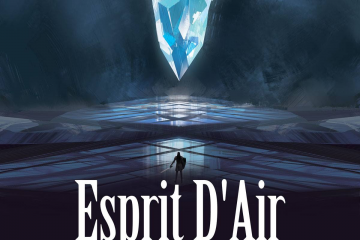 This set the tone for the medium tempo “Labyrinth,” and the emotional and melodious “Ataraxia” and “Andromeda”. The third segment wrapped up with an extended version of the strangely captivating “Tenshu Ranman” from the first album. During the instrumental section of the song, MORRIE got a lamp and shone it at each of the members before scanning the audience with it. The band took one last break before the final segment. When the lights went up, MORRIE had taken his jacket off, and was only wearing his long-sleeve mesh top. This could only mean one thing: it’s about to go down. Right out the gate was the up-tempo “Eden made” from the new album. 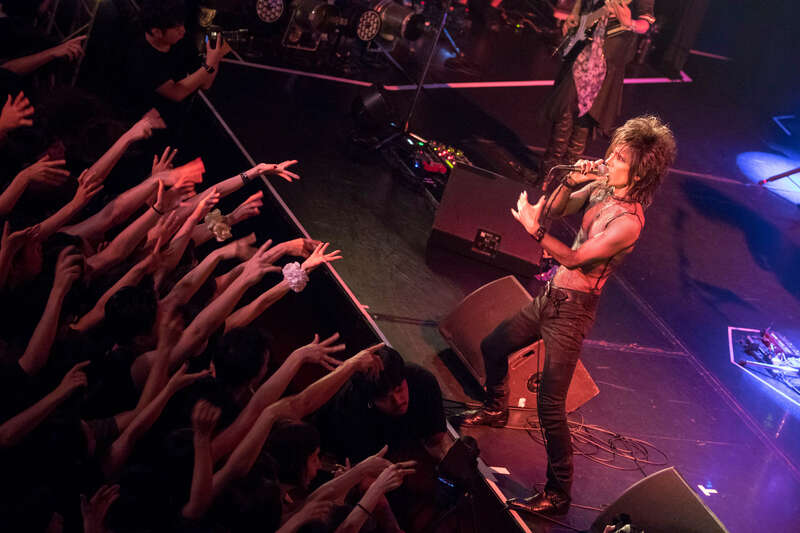 MORRIE got right up to the edge of the stage in the center, and was later joined by HIRO and Shinobu. Fans went wild, with their arms waving high up in the air. MORRIE sang as he leaned on HIRO’s back as fans looked on in excitement. 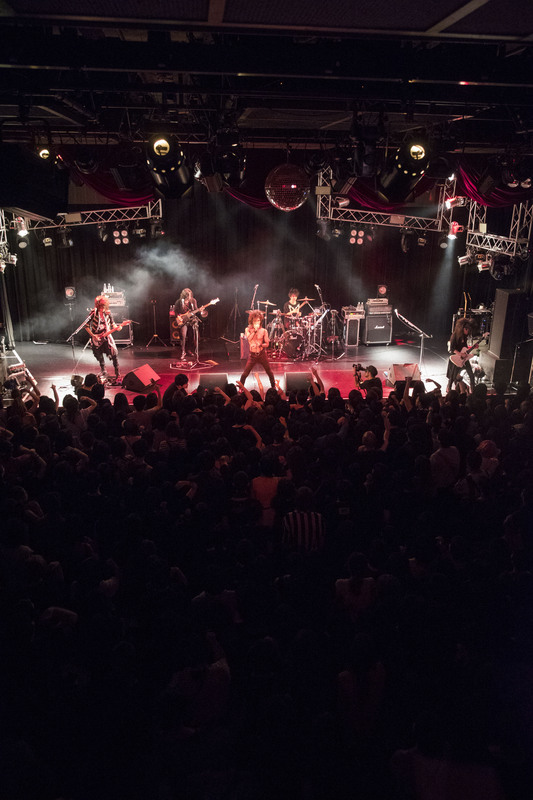 Things heated up even more when Hitoki’s bass intro took the crowd to the crazy playground that is “Ai to shi no Yuugijou”. This was quickly followed by “Decadent Angel,” “Amor Fati,” and “Sexus”. Nearing the end of the main set, right after the intro for “Dead Rider,” MORRIE drove the crowd into chanting “OH!” repeatedly as they pumped their fists excitedly in the air. Everyone on and off stage rocked out to the song. The energy carried to the final song when MORRIE yelled, “Last song! !” and the crowd exploded into a storm of headbanging for “Swan,” ending the main set with a bang. Right after the set ended, the members swiftly left the stage and the crowd began chanting “Encore! !” Considering the main set was 2 hours long with 22 songs, they only took a 15-minute break before coming back onto the stage to cheering fans hungry for more. MORRIE reappeared wearing what looked like a black muscle cut tank top, showing his toned frame. The other members had also changed clothes. HIRO changed his hair into a high ponytail. 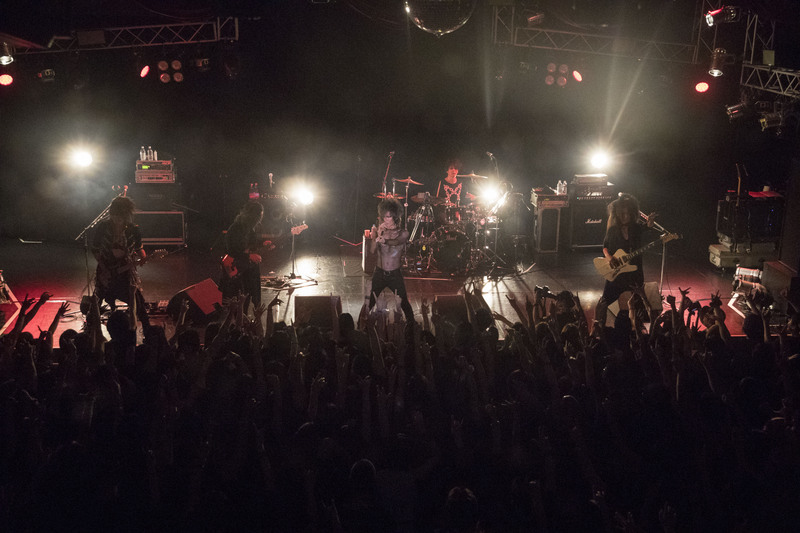 Encore started with the vibrato-filled emotional slow song from the new album, “Yumekagami”. 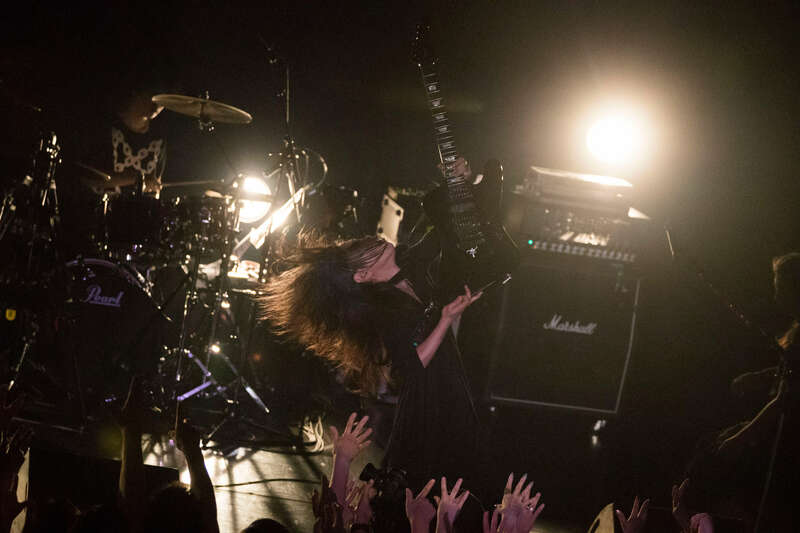 Then it continued to the equally emotional “Maboroshi” and “Haru no Kikai,” the first and last tracks on the first album “Light & Lust” (2016) which was also referenced in the tour title. After an intense two and a half hours, there was finally time for an MC. The members took turns talking about their experience with the Creature Creature project. 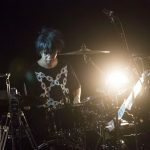 HIRO, having started in the beginning from 2006, spoke of fond memories playing with MORRIE, whom he had respected since long before. MORRIE then recalled how HIRO recommended Shinobu to him, and said he was surprised by Shinobu’s good looks when he looked up videos of him online. 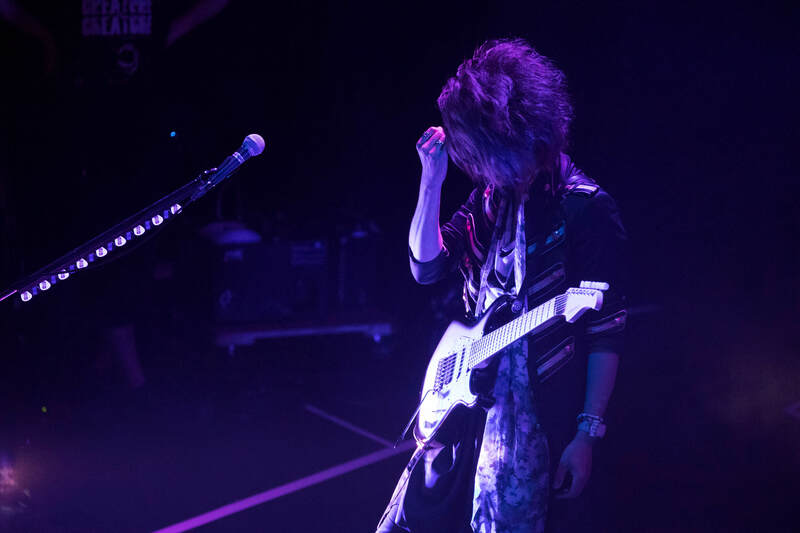 When it came time for Shinobu to talk, he choked up as he talked about how his band had just stopped activities right before he decided to join Creature Creature, and broke down when he mentioned how he thought he might’ve disappeared from the front stage. He described Creature Creature as “heaven” as he was so grateful to have been given that opportunity to participate in the project. After quietly listening to his sincere and heartfelt speech, MORRIE lightened the mood by asking if Hiroshi Sasabuchi was crying also, to which he simply replied, “Nah.” as fans chuckled in the crowd. Hitoki also joined the project in 2006 and while he spoke of his experience fondly, he jokingly described the project as “hell” as opposed to what Shinobu said earlier. 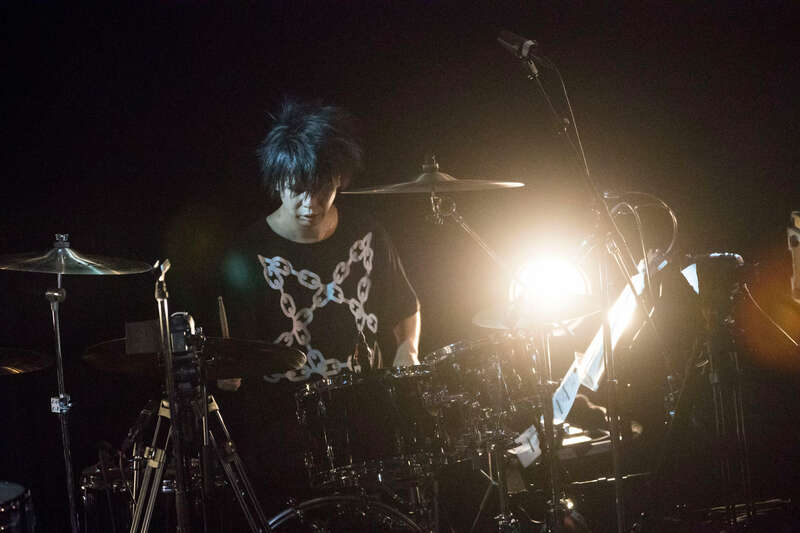 Hiroshi Sasabuchi echoed that sentiment, saying the drum parts were, while fun, extremely difficult to play. MORRIE stressed that he trusts “sound” rather than “personality” when it comes to playing music together. He ended the MC by thanking the fans for their support over the years. MORRIE took off his top to reveal black paints over his chest and back. The second half of the encore warmed up with “Violent Rose” and led to the upbeat “Rakuen e”. To their excitement, MORRIE sang with Shinobu close to him at times. All the members ran around the stage and the crowd went wild for the twin guitar solo. The entire venue was in a headbanging storm. MORRIE screamed, “Last song!” and dove into the crowd for the last song of the night — “Aurora”. Fans swarmed around MORRIE for a chance to touch the legendary vocalist and kept him there for the rest of the song. 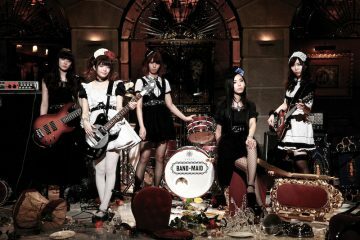 On stage, the members interacted with each other. 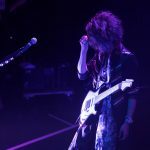 At one point, HIRO hugged Shinobu and kissed him on the forehead to show support, much to the excitement of their fans. 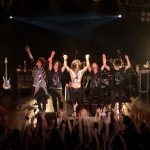 After the song ended in absolute madness (in a good way), the members gathered on stage and MORRIE shook each of their hands before bowing deeply to the crowd to express his thanks. But just how could the night end there? Fans were hungry for even more. “Encore!! !” they chanted desperately. The lights went up after a few minutes and the members reappeared on the stage to a cheering crowd. 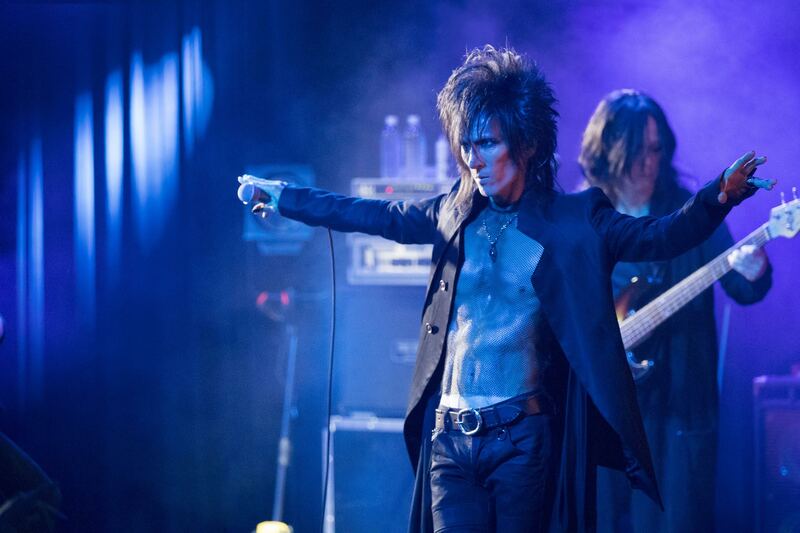 MORRIE thanked his fans once again for their support for the past 12 years before playing “Death Is A Flower” again. 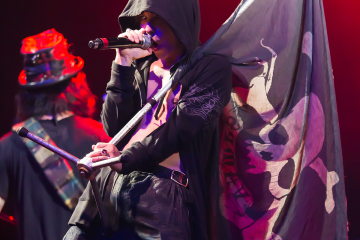 After the song, MORRIE officially introduced the members one by one, and MORRIE himself was introduced by Hitoki. He thanked the fans one last time before hugging Shinobu, then waving goodbye as he walked off stage. 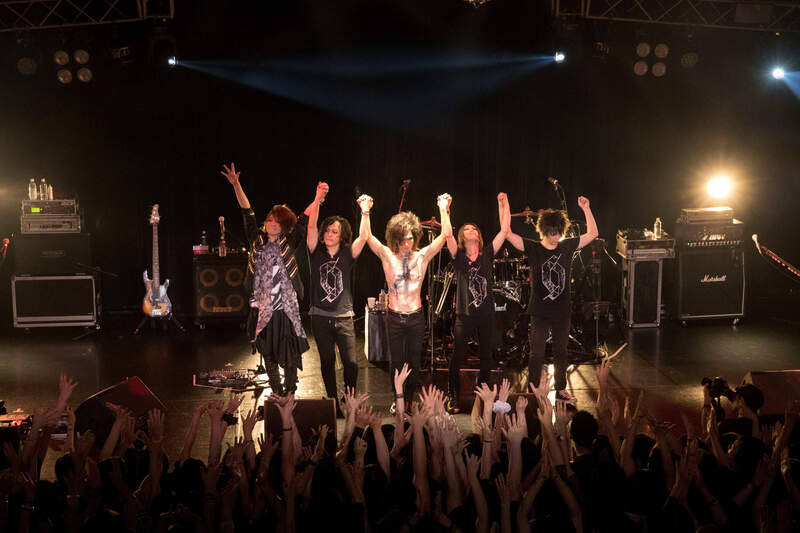 The 3-hour set was filled with not only 29 old and new songs, but also memories and emotions from the past 12 years from all the fans, members, staff, and of course, MORRIE. Without a doubt, it was an unforgettable, emotional and beautiful ending to Creature Creature that will be remembered by all who were there for years to come. Even though Creature Creature is in dormancy, MORRIE’s solo activities will continue. 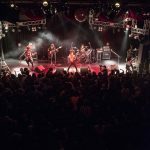 4 tour dates have been announced for “MORRIE the UNIVERSE “SOLITUDE” Season 6″ in Sapporo (9/15), Nagoya (9/29), Kyoto (10/13) and Yokohama (10/27).